The “Wall of Fame” was built to serve as a very public and important display of the many players, coaches and others who have contributed so much to Neshaminy’s football program since its first season of 1928. The statue of Coach John Petercuskie Sr., 1960 - 1965, was dedicated on September 19, 2010. His record was 59-1-5. Our Cheer team. led by Michelle Mazur has a long history of winning Championships. 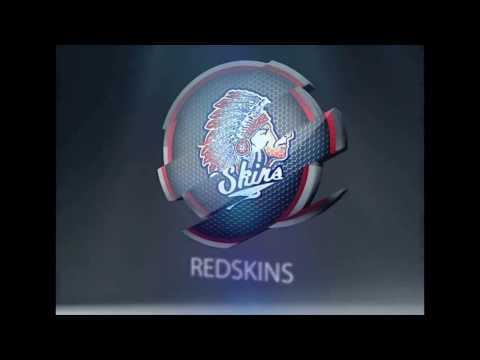 Known for their famous Chant "Everybody do the Redskin Rumble", they raise spirits at every game. Neshaminy has strong student participation and they represent at every game no matter home or away. The Redskin 8 changes each year and leads the student section in vocal support of our players. For Google directions and addresses to Neshaminy High School Football field, Heartbreak Ridge, and all other opponent fields click here. In an effort to save our history, we have embarked on a two year long video project. We are transforming older VHS and reel-to-reel film to a digital format. We are obtaining these from the saved media in the football office. We already know that we are missing a lot of games. Some of these games may have been loaned out to players or coaches. If you have any of these at home please contact us and we will pick up and drop back off along with a DVD of the game. We will occasionally post one or two games here as they are converted. Again, this is a slow process so bear with us as we will update with one or two examples from the decades as we go. Our first game is courtesy of C. Watkins who was not sure of the year this game was played. We are grateful for this rare piece of Redskin history. 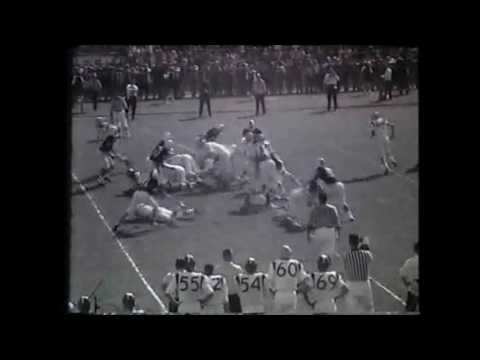 This game has been identified by Paula G., our resident historian, to be a 1959 game due to the presence of Harry Franks on the sideline (in the light colored suit) and the absence of the stars on the shoulder pad area. 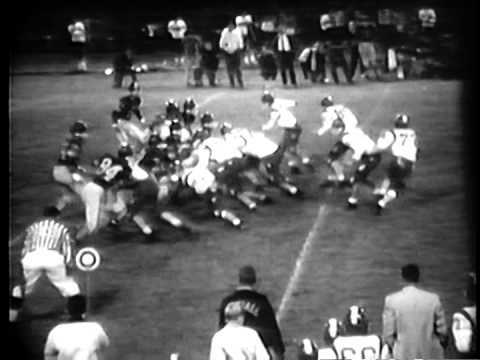 This video clip includes multiple plays from Neshaminy's 1962 game with Pennsbury. It was played at the Falcons' "old" Charles Boehm Field in Lower Makefield. 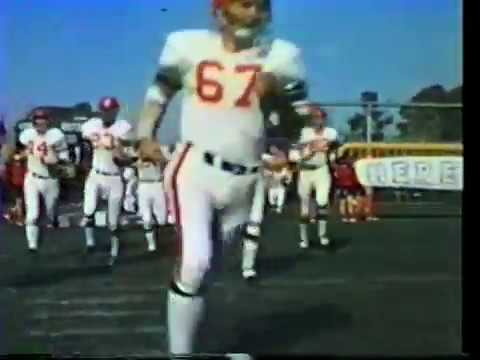 The clip highlights multiple plays from the second-quarter of the contest when the Redskins where in the midst of a 33-point scoring outburst which featured the great Bob Baxter (Neshaminy was wearing their white away game uniforms and he is number 60). 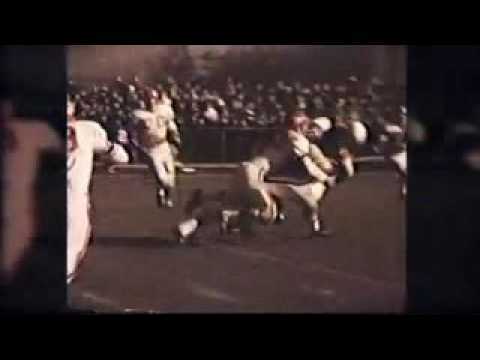 Trailer from the 1971 Season - the Team of the Century - Neshaminy 21 - Pennsbury 17 game. Editing by Matt Bartolacci. Here is the complete Nehaminy versus Pennsbury game played on Saturday November 20th, 1971 complete with footage pf the pre-game bonfire, homecoming floats, senior parents presentation and the large crowd waiting to get into the game. This treasure was found by our resident historian Paula G. when she was cleaning out the closet dedicated to Neshaminy memorabilia. Original video was shot by Mr. Sroba, Joe Sroba's Dad, who brought in several cameras to cover this game. 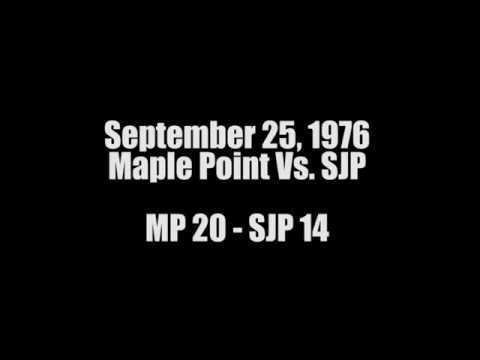 For more information on this season click here and for a 1971 roster click here. Here is rare gem - a 1976 Maple Point game found amongst the other film canisters. You can still see the old light poles installed by Harry Franks in front of the stands. Maple Point is in white and the game was played at Neshaminy HS. Welcome to 1989 Homecoming! 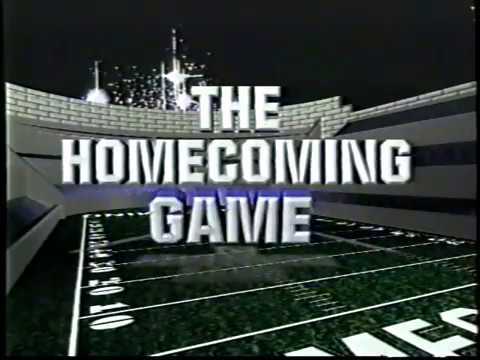 Lots of action in this game, no to mention the Homecoming hair styles! You will see lots of Hall of Famers in this video. 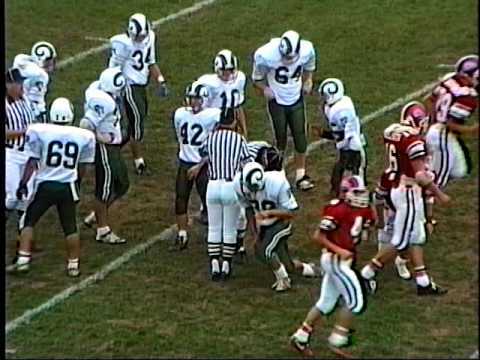 Moving along converting the 1989 season, we give you the September 22, 1989 game between the Neshaminy Redskins and the Bucks of CB West. We are attaching the roster, a newspaper clipping and a photo. If you look closely you will see Coach Chaump on the sidelines. The quarterback is James Franklin, PSU head coach and this game features a spectacular interception by Mike Frederick, former NFL pro. 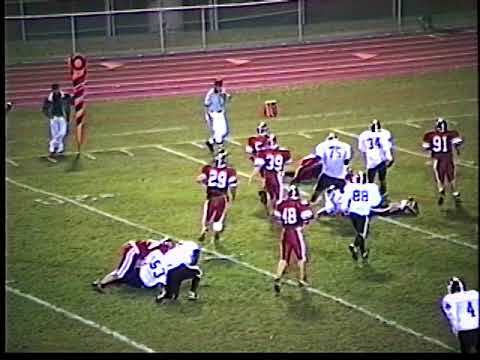 This October 17, 1997 Neshaminy Vs. Abington game was requested by the class of 1997 as their most memorable. Click here for the 1997 roster and here for the Inquirer article. 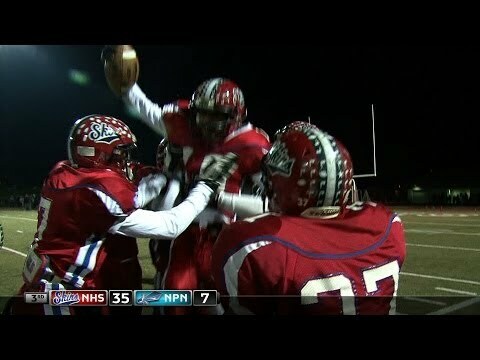 It was the most points scored in a game by a Neshaminy team - 69 as well the most total points scored - 105. Divide that by 48 minutes and that comes to 2.18 points every minute. We found the VHS tape of this little gem of the 1999 season buried amongst hundreds of old tapes while we were working on our analog to digital conversion project. This was Mark Schmidt's 4th year as Head Coach. 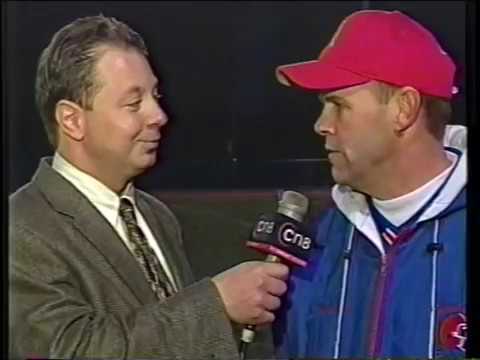 If you pay close attention at 11.23 and 12.28 you will also see present Head Coach Steve Wilmot on the sidelines. There was also a surprise visit from Spiderman. Please contact us if you have an old ad program from this year. 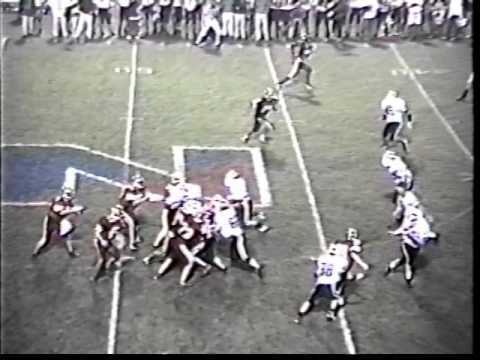 HERSHEY: Here is the 2001 State Championship game from 2001. Credits for video to PCN. 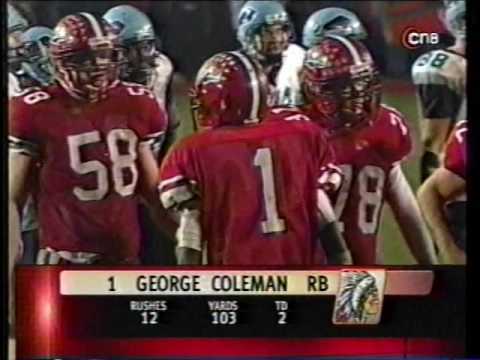 Here are the CN8 broadcasts of the November 26, 2004 District One Title game against North Penn. This was a very exciting game. Please enjoy. This game against North Penn on November 29, 2013 was for the District 1 Title. What an exciting game and the team played hard. Final score was Neshaminy 42 - North Penn 7. Running back D'Andre Pollard rushed for 242 yards and 4 touchdowns. Antoine Lovelace, former Redskin WR and a 1999 graduate had a career (1997-1998) 19 TD receptions, 83 receptions with 1347 yards receiving. He made First Team Offense All Montogmery-Bucks in 1998 and was selected for the Big 33 in 1999. He also received the Redskin MVP Offense award in 1998 and was named to the 1997 1st Team Offense Golden Teams. Antoine was inducted into the Hall of Fame in 2010 - he is shown below third from left. Our resident videographer, Jack Haston, created this outstanding intro for the 2016 Senior highlight DVD. Follow the team on Twitter or Facebook. Keep up with all the latest and greatest news about your Neshaminy Redskins. Copyright 2005 - 2018 Neshaminy Redskins All Rights Reserved.